Alixander, tell us about yourself. I have a Bachelor’s degree in Computer Science and attended several courses in electronics. I started my career as a test engineer in 2012. Since then I have gotten hands-on experience in system, subsystem, and component testing. Now I’m working onsite for one of Sigma Technology’s big automotive clients and have been leading the verification of a project for them. Apart from that I am currently involved in test automation development, test process development and product owner for a test automation tool the customer is developing. What role does software testing play in the understanding of product development processes? I think that testing is a good starting step for an IT career. Testing gives you a great insight into the whole development process. You learn what skills you need for product development, get an understanding of all the stages of the project workflow and a feel for the methods and processes. It also gives a good insight into the different challenges of product development on many levels. What is ISTQB Certification and why is it important for the companies to have ISTQB certified specialists? ISTQB stands for International Software Testing Qualifications Board and the certification you receive for passing the course is an internationally acknowledged certificate in Software Testing, regardless of business area or industry. The Foundation Level course aims to increase knowledge and understanding of software development processes with the focus on testing, verification and validation and the target audience is pretty much anyone working with product development. It is highly beneficial for roles like Testers, Software Developers, Component Owners, Product Owners, Function Developers, Project Managers, etc. The course is very broad and hence will benefit almost anyone working in product development, quality assurance or similar areas. We started the first Foundation Level course inside the company in June 2014 together with our Stockholm office. At that time, the tutors were Amer Hadsvik, President of Sigma Technology Consulting, and me. After the first success, we have decided to develop the initiative and embark on several new courses. The first I held alone was on January 7-9 in Gothenburg for a team of 15 people, all with different backgrounds: there were consultants, employees from aftermarket department, technical writers, testers, project- and subproject managers. How do you plan to continue ISTQB Certification? We plan to expand our activities in this area in 2015 and plan to conduct several internal and external courses for other Sigma companies within the group to ensure that our software testing expertise stays first-class. Can you advise how to prepare for ISTQB certification? There are plenty of web resources to read about Software Verification and find ISTQB samples and exams. At Sigma Technology, we have a special internal resource with an exhaustive knowledge base on software testing and verification. However, the most efficient way to learn about ISTQB is to attend the course. Each participant receives material to work on, gets a chance to learn tricks and tips in software testing and learn from industry examples from the tutor. 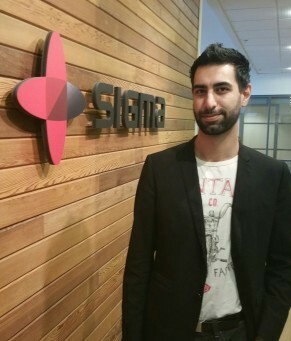 We thank Alixander for his time and will keep you updated with the news about ISTQB certification at Sigma Technology.